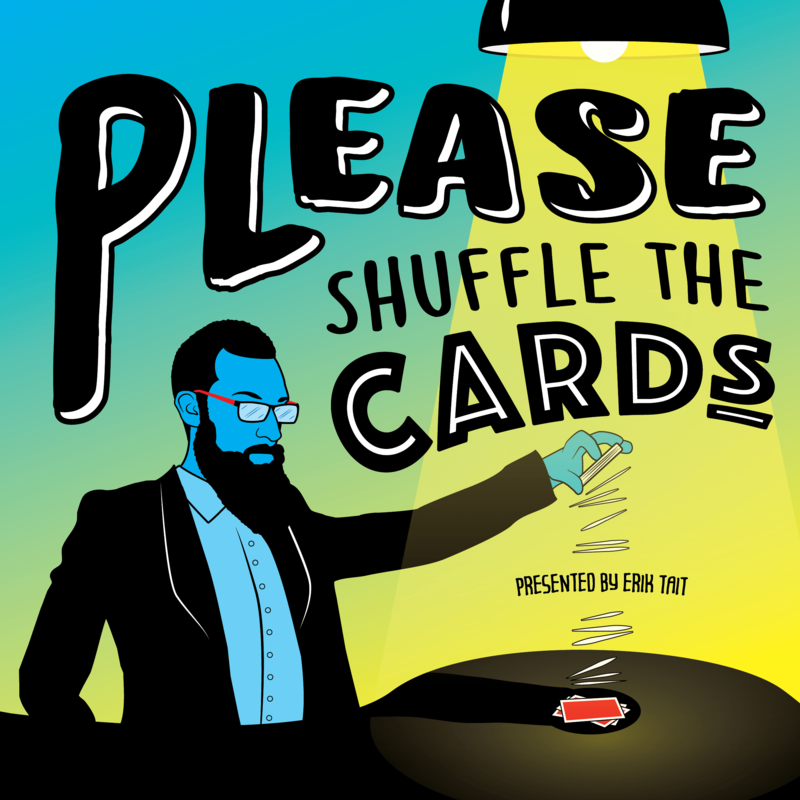 Please Shuffle The Cards is an interactive theater show written and performed by Erik Tait featuring original and award winning magic. Designed for audiences of 25-500, the show begins with the audience being invited onto the stage to shuffle the deck of cards that Erik will perform with. Everyone is invited to examine everything so they know what follows is pure sleight of hand. Then a camera is turned on so that the miracles on the table can be clearly viewed by everyone in the theater. Please Shuffle The Cards is an exploration of a magician’s relationship with skill and discovering how close one can come to telling people the secrets we are sworn to keep. This show, which involves everyone who shuffles the cards, has been hailed by audiences as astonishing, hilarious, and unabashedly interesting. Contact us to find out if your theater can accommodate the audio visual needs of this close-up magic show designed for the big stage.